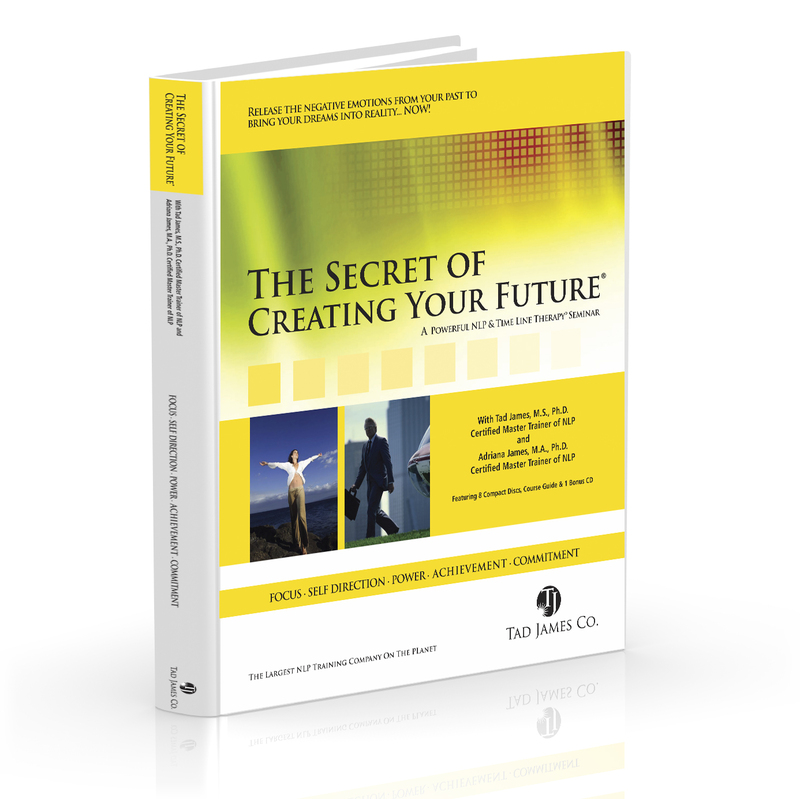 The Secret Of Creating Your Future® - The Tad James Company. Experience The Secret of Creating Your Future® Seminar*. It gives you the specific process of HOW to change your unfulfilled dreams into actualizing your true wishes and expectations. James Irving from Los Angeles, CA was working at a restaurant making $1400 a month. He took a lot of seminars listened to different motivational tapes and none of them were effective, until he took Tad James’ course. As a result of Tad’s techniques, he became a mortgage banker, making five times what the was making at the restaurant. At Tad James Co, we would like to make sure that you receive the best and most timely personalized service. Just fill in the form below and our frendly team of highly qualified NLP people will contact you shortly to answer your questions as well as provide information and application materials based on your specific needs.